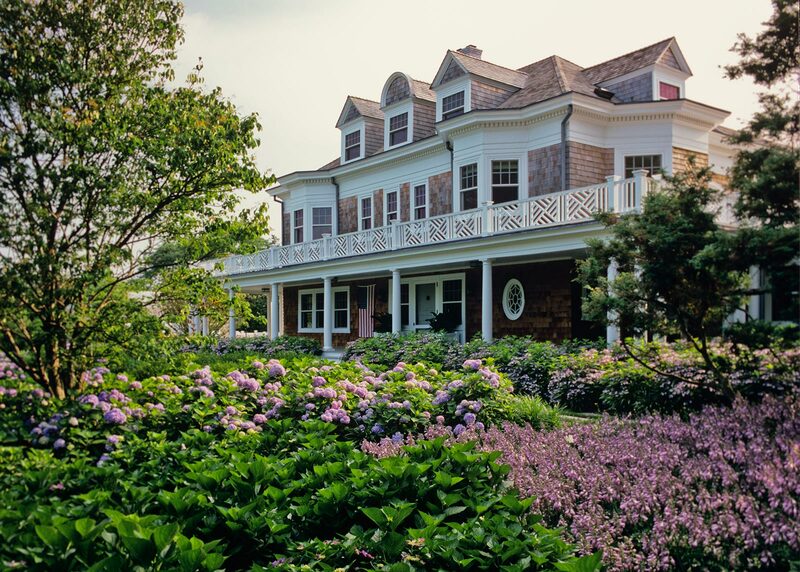 The design challenge for this site, in the prestigious Estate District in Southampton, was to keep the landscape in tune with the exuberance of the 1890’s shingle style house while adapting it to the lifestyle of a 21st-century family. 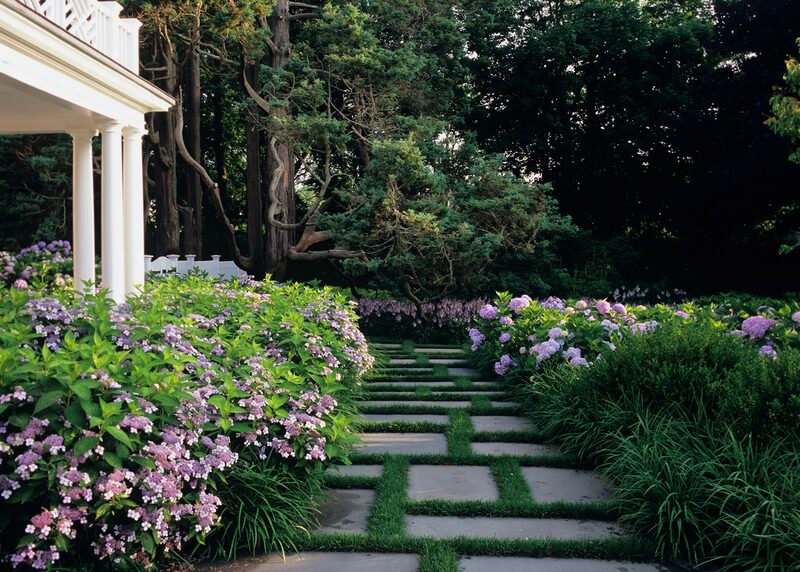 The entry drive passes through an orchard of gnarled apple trees and arrives at an elliptical forecourt that features a stepping stone walkway set in lawn. 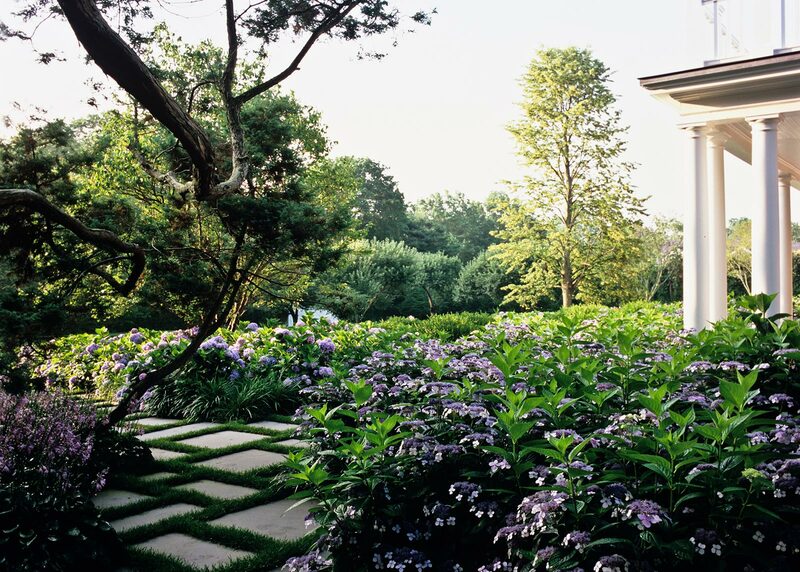 Bold, dramatic banks of Hydrangeas flank the walkway, and broad lawn steps lead to the front porch, faced by a lawn shaded by Beech and Linden trees. A new rectangular swimming pool centers on an old carriage house that now serves as guest quarters. 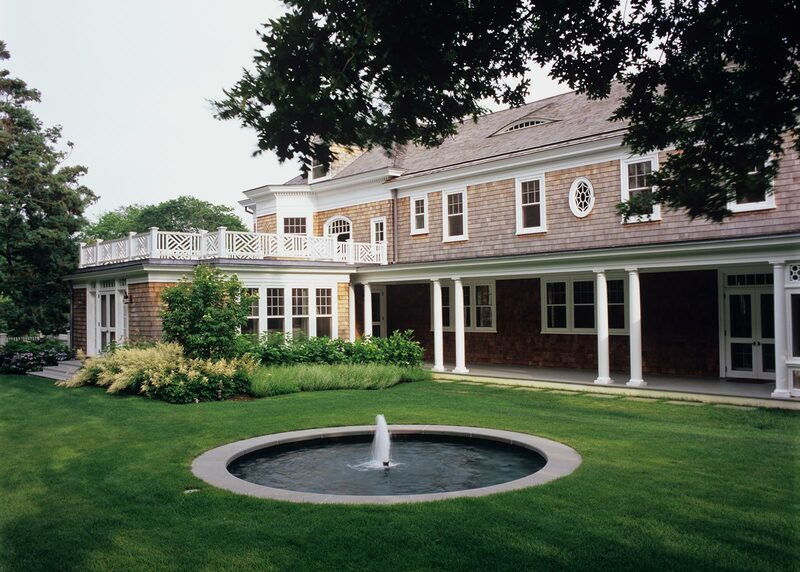 A circular lily pool on the north lawn sits on an axis with the outer doors to the family and living rooms. Specimen trees in this garden space include a rare Turkey Oak and a grove of towering Cedar trees.